NASA’s Osiris-REx mission is made its way to the Asteroid Bennu and is analyzing the same. After receiving the data from Spacecraft, scientists spotted the flying debris from the bennu asteroid. According to the data and pictures collected from OSIRIS-REx spacecraft, the debris of small particles is flying in space from the Bennu Asteroid. As of now, the particles are still in the gravitational field of the asteroid, but once they acquire enough speed, they will escape the gravitational force to enter in the space. From early this year, Scientists received the images from OSIRIS-REx spacecraft showing the particles taking off from different locations on Bennu asteroid. The mission scientists found almost 11 occasions when the spacecraft spotted the particles taking off from an asteroid. As of now, the scientists are not sure what is causing the tiny particles of debris moving out from the asteroid. 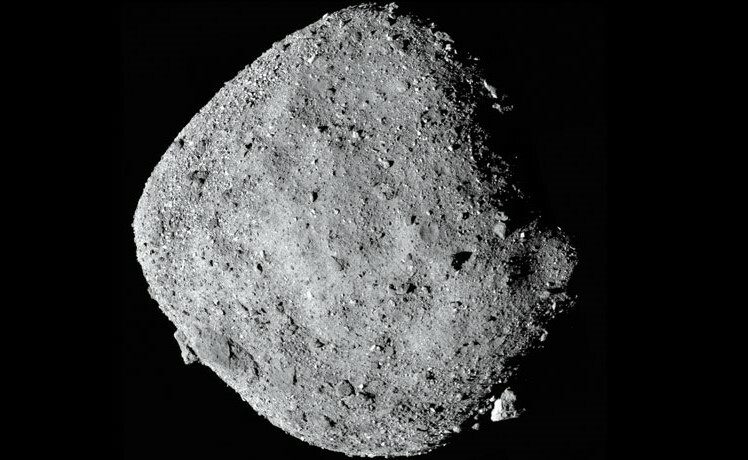 But as the activity is spotted, Asteroid Bennu has become the “Active” asteroid. “Active Asteroid” is a rare class of asteroids, which are classified by NASA and are the only dozen in the entire solar system. These asteroids are mostly inspected up close with the spacecraft orbiting around it or the landers picking up the samples. NASA’s OSIRIS-REx is a $1 billion mission, which is aimed at studying the asteroids like Asteroid Bennu. OSIRIS-REx means Origins, Spectral Interpretation, Resource Identification, Security, Regolith Explorer, which is entirely funded by NASA to examine Bennu Asteroid. The dust particles are pebbles that are moving in space are eventually falling on the surface of the asteroid. But some bigger particles which are ejected with high speed have escaped the gravitational field of the asteroid. As the asteroid is just 492 meters across, the particles and pebbles are not significant in size. According to the details, the particles that are blasting in space have the dimension of merely a centimetre to ten centimetres.